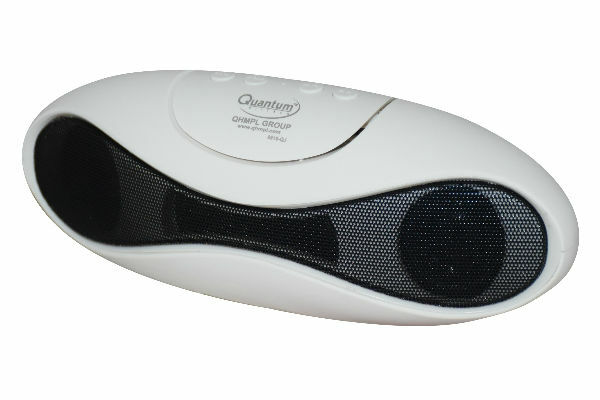 QHMPL, India’s leading frontrunner in consumer electronics, under the brand ‘Quantum Hi Tech’ announced an extension to its Audio range with ‘QHM 6222’ Bluetooth Speaker. Unique Design, Compact Looks and supersonic sound, the speakers are engineered to Travel. Despite its compact trail, the speakerdelivers pure, room filling and outstanding sound, supporting superior acoustics with clear highs, mids, and strong bass for great thumping with efficient full range drivers. High-Powered with 2000mAh battery and RMS of 6W, the speaker lets you enjoy the uninterrupted music for upto2.5 hours. Integrated with the latest Bluetooth version, the stereo effect is all over the speakers’ words.Adding to that, there is a built-in microphone that also allows the user to make and receive calls at the press of a button. Available in shades of Red, Blue and Grey the speaker comes with several other input options which includes, such as USB, Micro SD, and AUX. Lightweight & handy, the product is available with leading retail and ecommerce stores across India.